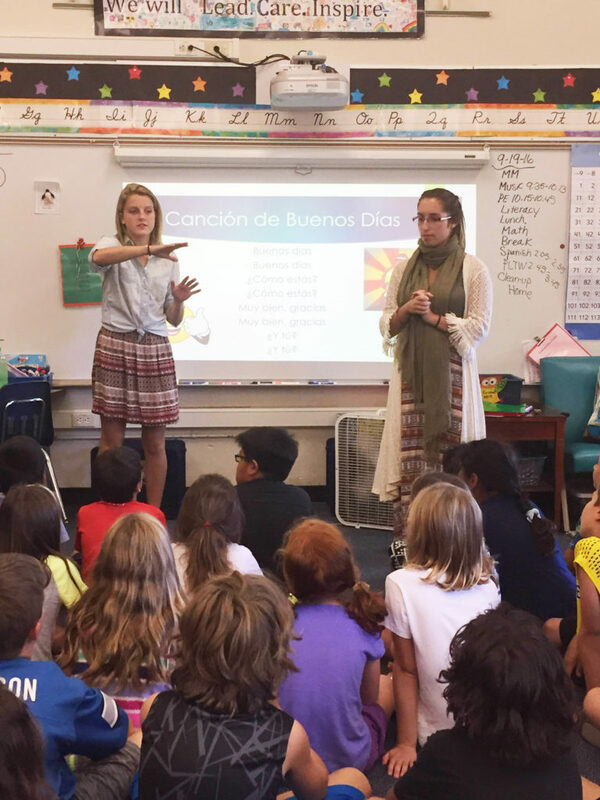 The Ann Arbor Languages Partnership is an opportunity for University of Michigan students to teach Spanish classes to 3rd and 4th graders in the Ann Arbor Public Schools. 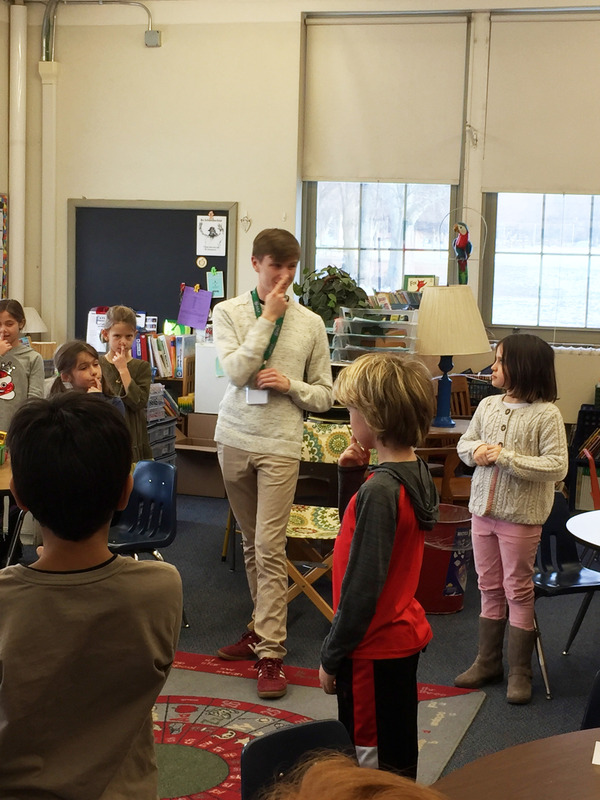 Language Teaching Assistants (LTAs) teach two or three 30-minute classes twice a week – usually with a partner. LTAs also attend a 3-credit seminar once per week in order to hone their teaching skills and practice their lesson plans. If you can give 3 hours per week plus a weekly seminar… A2LP is definitely for you! How do I become part of A2LP? Love Spanish and know it well! You must be enrolled in or have tested out of Spanish 277 before starting the program. Accommodations are possible for interested native or heritage speakers. The program is a two-semester commitment. We make exceptions only for those who are studying abroad or student teaching in winter term. Education and non-education students are welcome! When and what will I teach? You’ll teach for 60-90 minutes twice a week. Each 3rd and 4th grade classroom gets two 30-minute lessons per week. The Ann Arbor Public Schools operate from 8:45am to 3:30pm. As a Language Teaching Assistant (LTA) you will learn how to teach Spanish to children. Lesson plans are provided for you with sequenced content and activities. Seminar instructors and classroom teachers are available to support you at all times. What’s our weekly seminar like? You’ll attend a weekly seminar where you will learn to teach with your Seminar Instructors and partner with fellow LTAs to reflect on and improve your teaching. Relevant, timely assignments will prepare you to teach and a final capstone project will document your learning and growth as a teacher. Seminar is designed to be an active and productive participatory experience. How much credit do I get? Upper level Spanish credit is ONLY available in your 2nd term with A2LP, for eligible students. After 1st year of teaching with A2LP, you are offered the opportunity to take a course on learning to teach English for non-native speakers. This international credential can be used when seeking jobs teaching English or Spanish abroad. Do I have to teach both semesters? Can I participate for more than one year? You can participate in and register for A2LP for more than one year. About a quarter of our students are in their 2nd year or more with the program. Our Advanced Leadership students or ‘ALTAs’ may take on unique roles in the program along with teaching, such as seminar presenters, summer program interns, elementary building leaders, or other type of student mentor positions. You will learn some new techniques, practice and observe upcoming lessons, reflect individually and with your peers and instructors, and have some time for planning upcoming lessons. Do I have to write all the lesson plans? All lesson plans are already written, though it will be up to you (and your partner, in cases of co-teaching) to determine “staging,” such as how you’ll present materials, who will do what, etc. You do need to prepare materials for classes. Where do I get materials for teaching? You will need to purchase some of your own props and materials for games and visual aids; such purchases are in lieu of purchasing books for the course and a fraction of the cost.